The other night I started reading a multi-chapter fanfiction. I enjoyed it because it was cute, fluffy and light. And, of course, in the meantime, I'm writing myself into a stupor because I'm almost done with this third draft, so reading something else for a sec was a mental break. But something about this fanfic made me think of you, Book the First, so the other day, I reread you in your entirety for the first time in years. I'm sorry that I've called you "bad." It was the best I could do at the time and you're not actually that terrible. I mean, yes, there were parts of it that made me cringe and roll my eyes at my own writing ignorance at the time. And there are things in there that are just shoehorned in for absolutely no purpose. And the POV leaves a little to be desired. 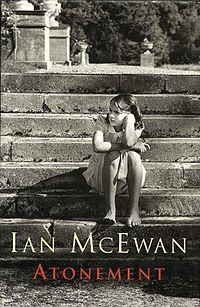 But the point of writing you, Book the First, was to bring the story to a close and I did that. So I'll stop referring to you as the "bad one." I've said this before and I'll say this forever: one of the greatest, greatest benefits of growing up and living in New York City is the access to the arts. I would be a vastly different person without the museums, plays, musicals, and tours of historical landmarks I was taken to at a very young age. My friend Jess drags me out of the house quite a lot--thank God, or else I would be a babbling, anti-social idiot--to go see things. We have similar enough taste when it comes to entertainment. Last summer, we saw Once The Musical. We loved it. We loved the leading man, Steve Kazee. We loved the jeans he wore in the show. 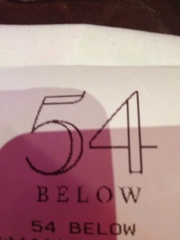 So, tonight (July 11th) we ventured off to 54 Below, a small venue under 54th Street in the city. It seems like 54 Below has a variety of acts, largely of the theater community, since it's in the theater district. Steve Kazee and his band, The Shiny Liars, had a run of shows this week. No, this is not an exclusively girly post. Boys, you are safe to read on. I called this "period speak" because that's my nickname for the type of dialogue I use in my book, dialogue that comes out of writing a period piece. Also, this was inspired by an involved Twitter conversation I had with my cousin, ilovetoread09, who tweeted that she was confused by a review on her medieval-set fanfiction, complimenting the language. To quote my cousin: "All I did was not use contractions." Which made me think about the dialogue in my story, set in Georgian England. A few people have remarked that the dialogue sounds authentic, which is so gratifying because I would hate for my characters to sound like me. 1) I changed the name I post under. 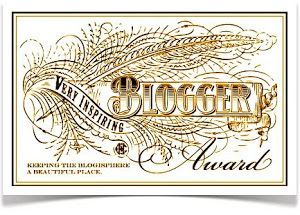 It's the first time I've done that (I've changed the name of the blog four times). I decided to bring it closer to my real life name. 2) I've had a really productive writing weekend. I went from page 305 on the 4th of July to page 335 as I type. This portion of the book is definitely the home stretch, but it's also challenging, revision-wise. A storyline I wrote extensively in the second draft is getting cut out of this draft, so that better things can take over. Only thing is, those better things are either completely new to this draft or expansions of events that happened in draft two. Also, I remember having problems figuring out La Climax in the last draft. I have a better idea of what it will be and I know how it's going to end now. This last part of the second draft is choppy. Damn. Much rewriting necessary.